Texting while driving: A New Jersey court says you could be sued for sending a text to someone who’s driving. Don’t Text to a Driver! Could you be sued for sending a text to someone who’s driving? A New Jersey court says yes. Don’t do this. But don’t text someone who’s driving, either. Texting while driving is probably the most dangerous thing generally law-abiding people do on a regular basis. We’ve only just begun to face up to that—and figure out how to stop ourselves. This summer, we got a new tool in Werner Herzog’s amazing documentary about the disastrous consequences for texters and the victims of the accidents they cause. Meanwhile, new research suggests that the vast majority of states should do more to crack down on this hazard. But what about texting to drivers? This week an appeals court in New Jersey suggested that if you text a driver, you too could be in legal trouble. It’s a ruling that’s probably the first of its kind, and it’s at the outer limits of legal liability. I’ve never really thought seriously before about not texting someone when I know they’re likely behind the wheel. The New Jersey judges said we all have a “duty” not to text in that circumstance. In the New Jersey case, a couple was riding a motorcycle in 2009 when they were sideswiped by a Chevy pickup after it crossed the double yellow line. The husband and wife, Linda and David Kubert, each lost part of a leg. The 18-year-old driver of the truck, Kyle Best, was texting moments before the accident. He settled with the couple. But they also sued Shannon Colonna, 17 at the time of the accident. She was friends with Best, and she sent him one text message that he received on that fateful drive. The New Jersey appeals court had to decide whether the Kuberts could go ahead with their suit against Colonna. The judges said no, because there was no proof that Colonna knew Best was driving when she texted him. 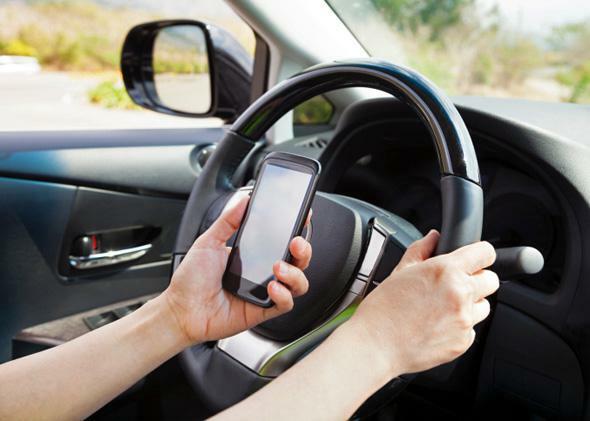 That’s the right ruling: To impose liability on someone who isn’t even in the car, at a minimum courts should have proof that someone in Colonna’s position knew the person she texted was behind the wheel and would open the message to read it, as the New Jersey judges said. When the sender knows that the text will reach the driver while operating a vehicle, the sender has a relationship to the public who use the roadways similar to that of a passenger physically present in the vehicle. … [A] passenger must avoid distracting the driver. The remote sender of a text who knows the recipient is then driving must do the same. The other obvious parallel is the bartender or party-giver who lets someone he or she knows is about to drive get drunk or keep drinking. States tend to write laws that impose this kind of liability, but not necessarily to enforce them. The basic insight here is that it’s hard to hold one person responsible for another’s bad behavior. There are pockets of law that impose a duty on one person for another’s safety, but they usually involve a particular kind of “special relationship,” as the legal doctrine puts it, for example between a parent and a child, or an employer and an employee, or a hotel and its guests. Adding bartenders and their customers to that list, or texters and drivers, is a stretch. It creates a legal standard that is not really meant to be enforced in court, but rather to remind citizens of their responsibilities. The New Jersey judges made that explicit in their decision about the Kuberts and Shannon Colonna: “Just as the public has learned the dangers of drinking and driving through a sustained campaign and enhanced criminal penalties and civil liability, the hazards of texting when on the road, or to someone who is on the road, may become part of the public consciousness when the liability of those involved matches the seriousness of the harm,” Judge Ashrafi wrote. Court rulings like this also expose a weakness in bans on texting while driving. On the one hand, 41 states have enacted these prohibitions since 2007, when Washington state became the first to do so. Simulation studies show slower response times for drivers who text than drivers who are drunk or high on pot. But a study published in June strongly suggests that most state bans aren’t having much of a deterrent effect. University of Wisconsin–Milwaukee economists Rahi Abouk and Scott Adams divided state laws into categories. The weakest kind only bans texting for some drivers—like new ones—and only allows the police to charge it as a secondary offense (in other words, if they had another reason to stop the car). Stronger bans universally outlaw texting, for all drivers, and give police the authority to charge it as the primary offense. And the strongest laws of all ban texting along with all other uses of hand-held phones—talking as well as texting. Abouk and Adams looked at the rate of fatalities in accidents involving single cars with single occupants (in other words, just the driver). They found no drop in the rate of these fatalities in states with weak texting bans. States with stronger bans experienced an 8 percent drop. But in the states without universal bans against using hand-held phones, there was a rebound effect. Four months after the law went into effect, the accident rate was back to its previous level. Passing stiffer state laws to crack down on drivers is more logical and useful than imposing liability on texters who are not in the car, like Shannon Colonna. The New Jersey judges, though, can be forgiven their howl of frustration. Texting while driving is such a massive and bedeviling problem that it’s natural to look beyond drivers to solve it. In the end, though, this is really about them.